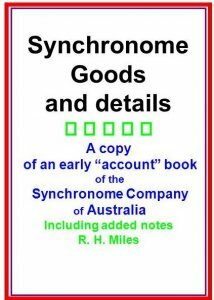 An exercise book survives from the earliest days of the Synchronome Electrical Company of Australasia. It contains information about sources of supply and prices. In 2003 Robert Miles transcribed the contents.